Within the last decades an interest in using economic evaluation methods in health care sector is rapidly growing. In many countries methodological guidelines and recommendation on using economic analyses for health care interventions assessment were developed. Methods of economic evaluation, historically developed for clinical intervention, are now being applied to public health programs. Application of economic evaluation techniques to this type of activities results in numerous methodological problems related to public health program special characteristics. This type of programs can take a form of complex, multisectoral interventions aimed rather at whole populations than at individuals (as clinical interventions). The aim of the article is to conduct a review of existing international guidelines on economic evaluation of public health programs and presentation of the experts guidelines related to specific elements and/or steps of economic evaluation of such programs. 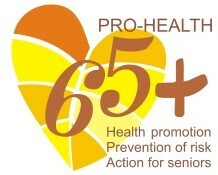 This publication arises from the project Pro-Health 65+ which has received funding from the European Union, in the framework of the Health Programme (2008–2013). The content of this publication represents the views of the authors and it is their sole responsibility; it can in no way be taken to reflect the views of the European Commission and/or the Consumers, Health, Agriculture and Food Executive Agency or any other body of the European Union. The European Commission and/or the Executive Agency do(es) not accept responsibility for any use that may be made of the information it contains. Publication co-financed from funds for science in the years 2015–2017 allocated for implementation of an international co-financed project. Niniejsza publikacja powstała w ramach Projektu Pro-Health 65+, który otrzymał finansowanie z Unii Europejskiej w ramach Programu w dziedzinie zdrowia na lata 2008-2013. Treść publikacji wyraża opinie autorów, za które tylko oni ponoszą odpowiedzialność. Nie mogą one być uznawane za poglądy Komisji Europejskiej oraz/ani Agencji Wykonawczej ds. Konsumentów, Zdrowia, Rolnictwa i Żywności jak również żadnego innego organu Unii Europejskiej. Komisja Europejska oraz/ani Agencja Wykonawcza nie ponoszą odpowiedzialności za rezultaty wykorzystania treści zawartych w tej publikacji. 1. Drummond M.F., Sculpher M.J., Torrance G.W., O’Brien B.J., Stoddart G.L., Methods for the economic evaluation of health care programmes, 3rd edition. Oxford University Press, Oxford 2005. Dubas-Jakóbczyk K., Analizy ekonomiczne w ochronie zdrowia, w: Golinowska S. (red. ), Od ekonomii do ekonomiki zdrowia. Podręcznik ekonomiki zdrowia, PWN, Warszawa 2016. Morris S., Devlin N., Parkin D., Economic analysis in health care, John Wiley & Sons Ltd, West Sussex 2007. Cohen D., Health promotion and cost-effectiveness, „Health Promotion Int.” 1994: 9 (4): 281–287. Richardson J., Economic evaluation of health promotion: friend or foe? „Australian and New Zealand Journal of Public Health” 1998; 22 (2): 247–253. Nutbeam D., Evaluating health promotion – progress, problems and solutions, „Health Promotion Int.” 1998; 13 (1): 27–44. Hale J., What contribution can health economics make to health promotion? „Health Promotion Int.” 2000; 15 (4): 341–348. Kelly M.P., McDaid D., Ludbrook A., Powell J., Economic appraisal of public health interventions, NHS Health Development Agency 2005. Honeycutt A.A., Clayton L., Khavjou O., Finkelstein E.A., Prabhu A., Blitstein J.L., Evans W.D., Renaud J.M., Guide to Analysing the Cost-Effectiveness of Community Public Health Prevention Approaches, RTI International. Research Triangle Park, NC, USA 2006. Salazar L., Jackson S., Shiell A., Rice M., Guide to economic evaluation in health promotion, OPS (Organizacion Panamericana de la Salud), Washington 2007. Weatherly H., Drummond M., Claxton K., Cookson R., Ferguson B., Godfrey C., Rice N., Sculpher M., Snowden A., Methods for assessing the cost-effectiveness of public health interventions: Key challenges and recommendations, „Health Policy” 2009; 93 (2–3): 85–92. Edwards R.T., Charles J.M., Lloyd-Williams H., Public health economics: a systematic review of guidance for the economic evaluation of public health interventions and discussion of key methodological issues, „BMC Public Health” 2013; 13 (1): 1001.
WHO, Health Promotion Glossary, Geneva 1998, http://www.who.int/healthpromotion/about/HPR%20Glossary% 201998.pdf; dostęp: 10.02.2016.
WHO, Ottawa Charter for Health Promotion, Geneva 1986. The Association of Faculties of Medicine of Canada (AFMC), Primier on Population Health. 2011, https://www.afmc.ca/pdf/AFMC-Primer-on-Population-Health- 2013-08-14.pdf; dostęp: 11.02.2016. Centre for Disease Control and Prevention (CDC), Introduction to program evaluation for public health programs, http://www.cdc.gov/getsmart/community/improving-prescribing/program-development-eval/evaluation-manual/; dostęp: 10.02.2016. Kissimova-Skarbek K., Analizy ekonomiczne w opiece zdrowotnej, w: Czupryna A., Poździoch S., Ryś A., Włodarczyk C. (red. ), Zdrowie publiczne. Wybrane zagadnienia, t. 1, Vesalius, Kraków 2002. Czech M. (red. ), Farmakoekonomika. Ekonomiczna ocena programów ochrony zdrowia, Oficyna Wydawnicza PW, Warszawa 2004. Rychetnik L., Frommer M., Hawe P., Shiell A., Criteria for evaluating evidence on public health interventions, „Journal of Epidemiology and Community Health” 2002; 56 (2): 119–127. Payne K., McAllister M., Davies L.M., Valuing the economic benefits of complex interventions: when maximising health is not sufficient, „Health Economics” 2013; 22 (3): 258–271. Cookson R., Drummond M., Weatherly H., Explicit incorporation of equity considerations into economic evaluation of public health interventions, „Health Economics, Policy and Law” 2009; 4: 231–245. Marsh K., Phillips C.J., Fordham R., Bertranou E., Hale J., Estimating cost-effectiveness in public health: a summary of modelling and valuation methods, „Health Econ Rev.” 2012; 3, 2 (1): 17. Edejer T., World Health Organization, Making choices in health: WHO guide to cost-effectiveness analysis, Geneva 2003. University of York, Systematic Reviews. CRD’s guidelines for undertaking reviews in health care. 2009, https://www.york.ac.uk/media/crd/Systematic_Reviews.pdf; dostęp: 15.02.2016. Ziglio E., How to move towards evidence-based health promotion interventions, „Promot. Educ.” 1997; IV: 29–33. 2002; 2, http://www.czytelniamedyczna.pl/farmakoekonomika, fe200202.html: dostęp: 25.05.2016. Briggs A., Sculpher M., Claxton K., Decision Modelling for Health Economic Evaluation, OUP, Oxford 2006. Meltzer D.O., Smith P.C., Theoretical issues relevant to the economic evaluation of health technologies, w: Pauly M.V., McGuire T.G., Barros P.L.P. (red. ), Handbook of Health Economics, vol. 2, North Holland, Amsterdam 2012: 433–469. Stannet A.A., Mullahy J., Net health benefits: a new framework for the analysis of uncertainty in cost-effectiveness analysis, „Medical Decision Making” 1998;18 (Suppl. ): S68–S80. Zethraeus N., Johannesson M., Jonsson B., Lothgren M.,Tambour M., Advantages of using the net-benefit approach for analysing uncertainty in economic evaluation studies, „Pharmacoeconomics” 2003; 21: 39–48. WHO, Equity definition, http://www.who.int/healthsystems/topics/equity/en/; dostęp: 21.02.2016. European Commission, Commission Communication – Solidarity in health: Reducing health inequalities in the EU, 2009, http://ec.europa.eu/health/social_determinants/policy/commission_communication/index_en.htm; dostęp: 27.05.2016.
WHO, Handbook on Health Inequality Monitoring, Luxemburg 2013. McDaid D., Sassi F., Merkur S. (red. ), Promoting Health, Preventing Disease. The Economic Case, Open University Press, New York 2015, http://www.euro.who.int/__data/assets/pdf_file/0006/283695/Promoting-Health-Preventing-Disease-Economic-Case.pdf; dostęp: 23.02.2016.